Designed by Yana Kutyina (Otadoya) in two series, Napoleon Text and Display . Awarded in the Granshan 2013 competition. 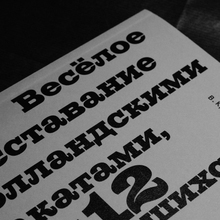 Also awarded with the Emil Yakupov prize in the Modern Cyrillic 2014 competition. Not yet released.